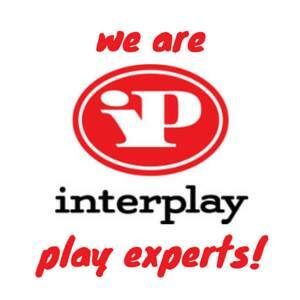 It's Mini's turn to review for you all today, and it's the first we'll be bringing you as Official Interplay Play Experts. Mini loves anything art or craft based, however, my vacuum doesn't, as usually these sets end up frustrating my daughter and she leaves them to go all over her floor. The first thing I was impressed by with the Steam Punk set was the handy little holder the bits and bobs came in. This meant once my child inevitably removed every single little bolt and hook from it's bag, it didn't just end up back in a box which would end up ruined in five minutes. To be fair, when I first looked at the very comprehensive and easy to follow instruction booklet, plus all the tiny accessories needed to make earrings, bracelets and necklaces, I did think perhaps Mini would struggle. It says a lot for the detail within the booklet that within 20 minutes of sitting down with the set, Mini (8) managed to make me a very nice set of earrings. It was so enjoyable for her that she didn't mind a bit that her ears aren't pierced so she couldn't wear them herself. 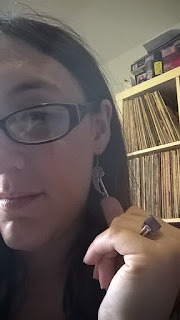 Another great feature of the set, and one which has driven me to distraction with other sets bought for my daughter before was that everything she needed to make a small amount of jewelry was there in the box. I have lost count of how many times I have purchased a great craft set only to find out you need to track down items to make it work, such as a big Loom Band set I bought her last year that was impossible for her age without a handy Loom Band rack thing which cost extra. Considering the price, the tools and accessories inside were very good quality, with soft handled gripping tools and strong metal loops. I would think these will be used after all the jewels have been used up from the set as Mini has enjoyed making things herself independently. 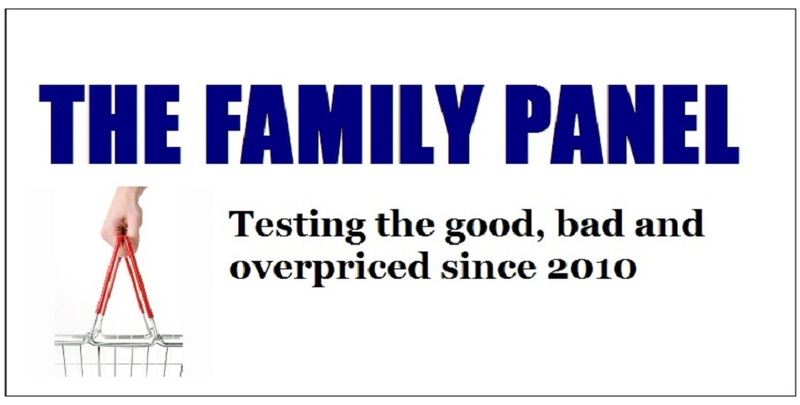 I would think for the price the amount of jewels- such as angel wings and keys were fine, although I think Mini would say she wanted more as she loved using them so much. The set is also conscious of safety too, giving clear warnings of the contents being unsuitable for younger children down to the tiny little rivets and things inside, so this may not be the set for your family if you do have a small child at home who likes to explore by eating what they find on the floor! For £20 (priced at Argos), this is a fun set that will not require you to sit with your child for three hours making all the set whilst they watch, half bored, I literally opened the box, and let Mini get on with it. 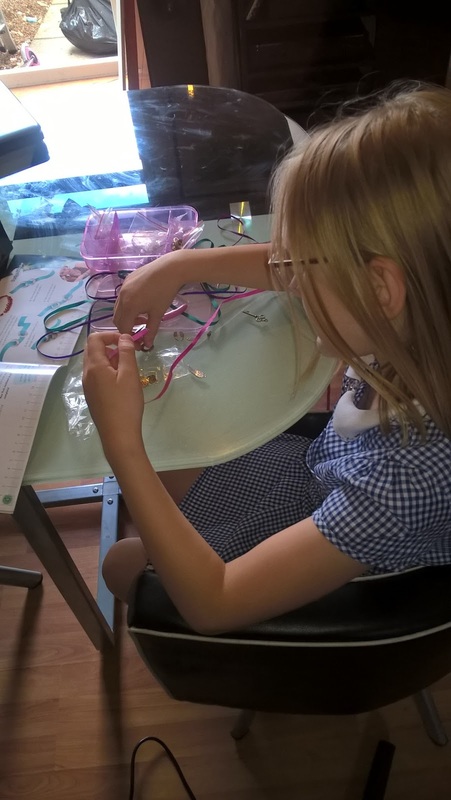 There were no tears, no tantrums, and she's already talking of making more little jewelry pieces in the holidays and to wear for school discos. 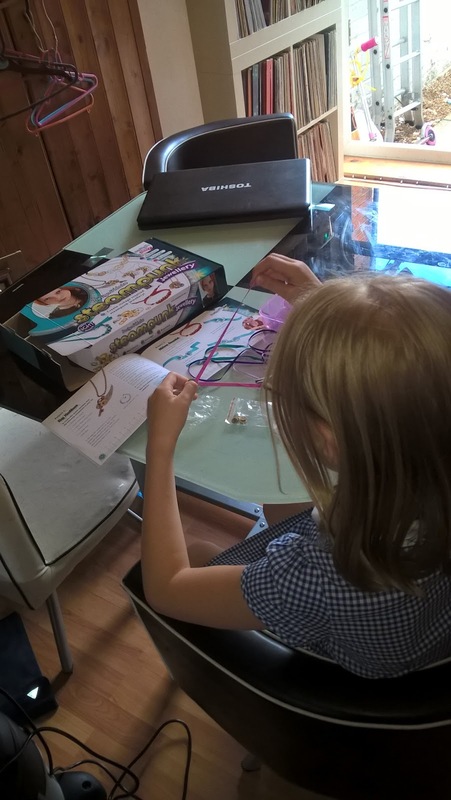 If you love craft without fuss and extra outlay, My Style sets are great for tweens for practice more grown up craft that they can wear and have fun with.